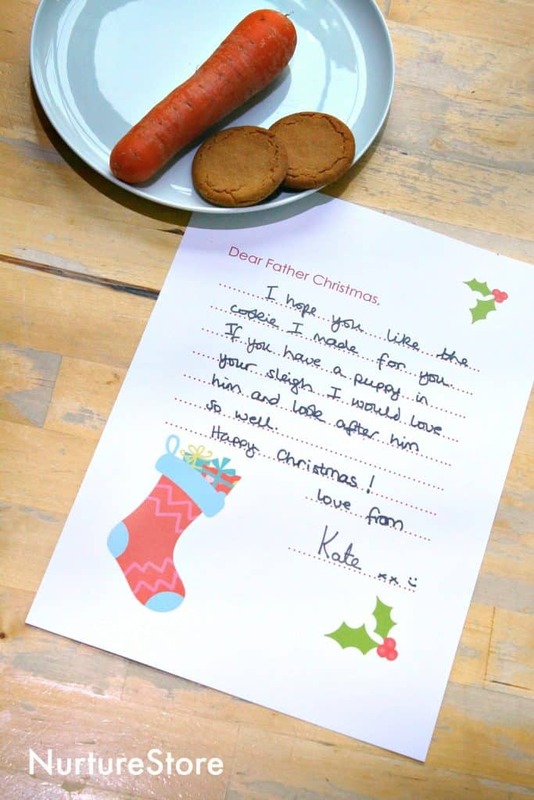 This ‘letter to Santa’ printable is perfect for Christmas Eve! You can print a copy for each of your children (see how below) so they can write a little note to set by the chimney, or wherever Santa enters your house. What do you leave out with your letter? In our house it’s a mince pie, and a carrot for the reindeer. 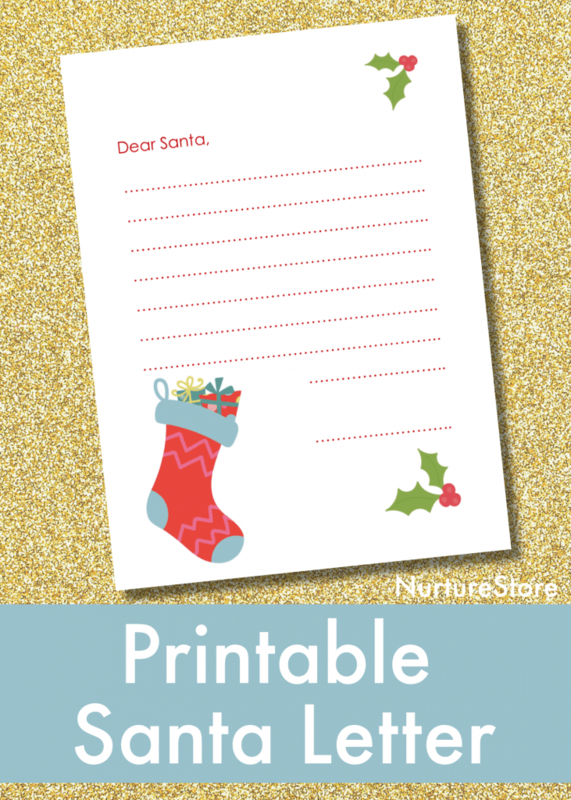 The Santa letter printable is also great as a pre-Christmas writing activity for children to use to learn the basic format of a letter. You can talk about how to open and close a letter, and how to courteously ask for something you might like. 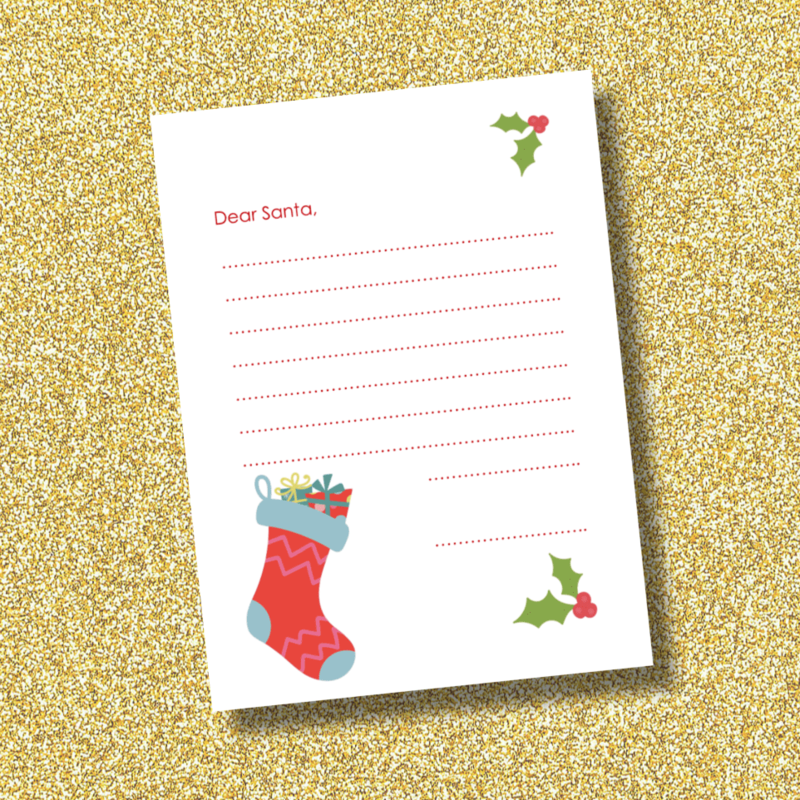 There are two versions of the letter included in the printable: one says ‘Dear Santa’ and the other says ‘Dear Father Christmas’, so you’re covered however you refer to The Man In Red!